Settle your little one into the comfort and support of pure shearling when you’re on the go. 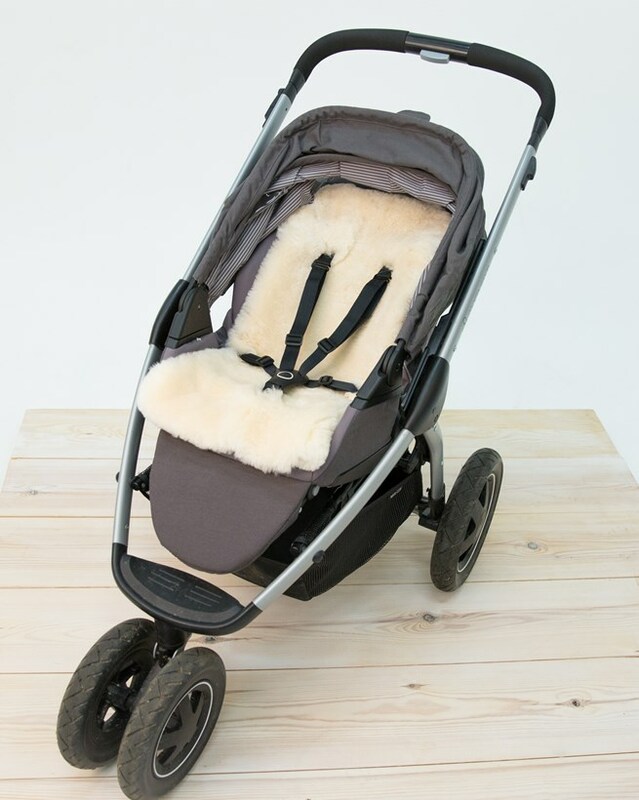 Our luxurious stroller liner is made with the softest shearling, shorn to baby-safe length. It works with all pushchairs and is machine washable. This is a beautiful product that has transformed my babies pushchair. It is so soft and cosy that he is always happy to go in his pushchair now and has lovely long naps! People often comment on how comfortable he looks. It was a perfect Christmas present! This is for me to give as a Xmas present. Beautiful fine quality fleece. A lovely cosy liner that means we can take our grandson for a walk in all weathers. And he sleeps for even longer no it! I've just purchased the pushchair liner for my new grandson, he was born on 17th October 7 weeks premature. As he's so tiny I thought I wanted to get him something really nice for when he's big enough to be out and about, I also pushed the baby sheepskin rug so I've got everything covered from his pushchair to his pram and cot. I'm delighted with the quality of the items, they are so soft to the touch, before I went ahead with my purchase I did look at other baby sheepskin items but there's simply no comparison to the quality of those I purchased from Celtic and co.